Once Upon a Twilight! : We're Excited To Be Heading To #ECCC! We're Excited To Be Heading To #ECCC! I am so excited to be heading to Emerald City Comic Con in April. That's only 2 very short months away! But today some BIG and EXCITING news got announced! NORMAN REEDUS IS GOING TO BE THERE FRIDAY AND SATURDAY!!!!! 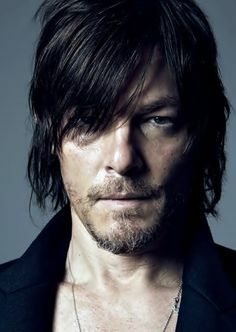 For those of you who don't know, I am a HUGE fan of The Walking Dead and my all time favorite character just happens to be Daryl Dixon. Seriously....when I saw this announcement I screamed and then cried. I knew they were going to announce someone big. I just didn't realize how big of an announcement this was going to be! So stay tuned for my adventures in April. It's going to be a blast and I cannot wait to tell you guys all about it!